Welcome to the Ukraine football shirts and jersey store at Soccer Box. Here you can shop for the official team strip, we stock both the home and away strips so take a look at both. If you can’t choose your favorite why not order both and be ready to cheer on the national team at every International and friendly fixture they play. The Ukraine soccer jersey is currently manufactured by Adidas, and has been since 2009. We are a licensed supplier of Adidas merchandise and you are shopping for the official top. Shopping at Soccer Box is easy we offer great products, at low prices, with fast worldwide shipping options so take this opportunity to stock up on all your favorite team’s merchandise while stocks last. The national team played its first match in 1992 and has since made appearances in both the FIFA World Cup and the UEFA European Championships. The country’s only appearance at the World Cup finals was in 2006, when they scored a surprising but impressive 8th place finish by reaching the quarterfinals. The Ukraine qualified for Euro 2012 as the host nation but did not make it beyond the group stages. Can the 2018 FIFA World Cup garner stronger results for the Ukrainian squad? The color schemes of the kits are based upon the country’s national flag. The flag is a half and half design with blue at the top and yellow at the bottom. The yellow is said to represent the fields of wheat that grow in the Ukraine, and the blue represents the sky. Using this yellow and blue color scheme pays respect to the country, and reflects a deep patriotism for supporters. Umbro first manufactured the Ukraine kit in 1992. Since then the kits have also been made by Puma and Lotto, with Adidas taking on the contract in 2009. The deal with Adidas is due to expire in 2016, so don’t miss this opportunity to pick up one of the outfits sporting the Adidas logo, as a new manufacturer may take over for the 2017 campaign and run-up to the 2018 World Cup. The home strip is primarily yellow in color, and is embellished with blue accents. The away strip reverses this color scheme and is primarily blue with hints of yellow. The home and away strips tend to be based upon the same design concept, with reversed colors, to create a united and coordinated look for the team during any given season, campaign or tournament. The national team play the majority of their home matches at the Olimpiyskiy National Sports Complex, this is the home stadium of FC Dynamo Kyiv. Due to hosting Euro 2012 new stadiums were built across the country, and others were renovated, the national team occasionally uses some of these other venues to host friendly matches and generate football fever around the country. 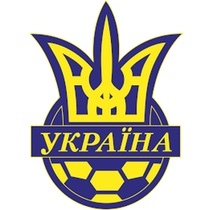 Soccer fans in the Ukraine are passionate about their team and on match days supporters can be seen cheering the squad on wearing the yellow and blue home or away tops, as well as other team merchandise and accessories. As the manufacturer of the national team uniforms Adidas has injected style into their designs. Adidas use the very latest in sporting design to ensure the maximum performance on the field, for both the stars of the national team and you as a supporter. ClimaCool moisture wicking fabric is a signature Adidas technology that draws excess sweat and moisture away from the skin. Moisture wicking is combined with mesh ventilation for enhanced breathability, feeling cool and fresh the Ukrainian national team can work harder to defend, build up passes, attack and ultimately hit the goal. Wearing an official outfit you too can feel these benefits when playing soccer, working out at the gym, or building up a sweat cheering on the team. Which Ukraine top is your favorite? Find us on social media and share your thoughts we love to engage with fans about kit design, recent performances, statistics and everything soccer related ~ Links to our social channels can be found at the bottom of the page. Take a look around our online store where you will see that we stock hundreds of tops, shorts, socks, training kit and accessories for club and national teams around the globe. Our Premier League shop is packed with outfits, kits and accessories for all the big names including the other big names in European club teams. All of the Ukraine football shirts and other team merchandise that we stock are official merchandise supplied directly from the manufacturer, and if you are unhappy with your purchase simply return it unworn with the original tags and packaging for a full refund. Customer satisfaction is our priority, contact us by telephone or email before, during or after ordering if you have any queries. The jerseys and other products sold at Soccer Box are available for worldwide shipping options. Simply add your chosen items to the secure shopping cart and choose the delivery option that suits you best. Once you have checked out sit back and relax we will keep you informed of the progress of your order from receipt through to dispatch. Make us your favorite store for merchandise, order today and remember to check the bottom of your screen for special offers and discount codes enabling you to make a saving on your order.